New from the creators of Worms, comes Flockers, a game splattered full of dark humour. Sick of being used as Weapons in the Worms' endless battles, the Sheep decide to make a break for it. Save the Sheep by guiding them through crushers, giant buzz-saws, deep pits full of spikes and giant swinging meat cleavers. Help them escape their diabolical masters, or leave them to the Worms' diabolical traps and watch their insides explode all over the place. Like, everywhere. 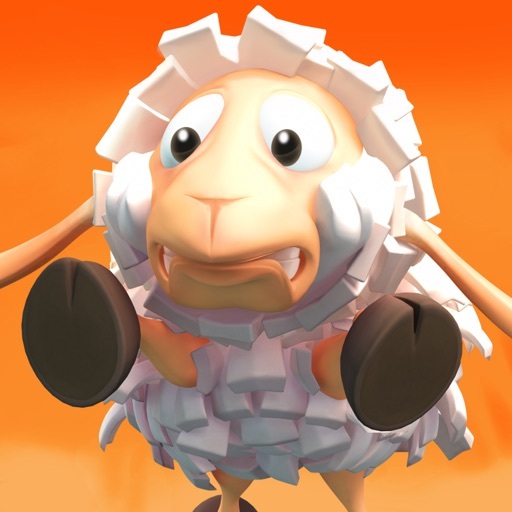 · Save the sheep by guiding them through 60 deadly levels. · The sheep in Flockers are very talented. They’re able to fly up walls, jump over buzz saws & deadly drops as well as explode to destroy machinery clearing a path for their sheep friends. · There are 18 different looking sheep that you can earn from the rewards screen using wool you collect along the way. Before long, you could be saving zombie, robot, pirate and even skeleton sheep. · Facebook connectivity allowing you to see your friends progress on the map screen. As well as this, you can see their top scores. · Flockers supports Game Center, and has 20 achievements for your sheep to ‘achieve’. · Losing too many sheep? You can pause time on any level to strategically plan your next move.